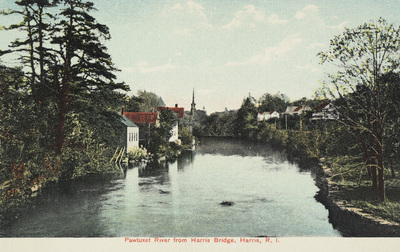 "Pawtuxet River from Harris Bridge, Harris, R.I." by Rhode Island News Company, Providence, R.I.
Pawtuxet River from Harris Bridge, Harris, R.I.
Rhode Island News Company, Providence, R.I., "Pawtuxet River from Harris Bridge, Harris, R.I." (1915). Rhode Island Postcards. 454.